As the U.S. hurtles toward nuclear war with Russia over Syria and Crimea, Jon Huntsman, the head of NATO’s lobbying organization the Atlantic Council, urged on October 7th that Donald Trump — who has many times stated clearly that improving relations with Russia so as to avoid nuclear war would be his top priority as President — should withdraw from the U.S. Presidential contest and leave it to his Vice Presidential pick, Mike Pence, who (like Hillary Clinton) favors war against Russia. The U.S. had slapped sanctions against Russia when Russia on 16 March 2014 protected the residents of Crimea so that they could safely hold a referendum on whether to become again a part of Russia, of which Crimea had been a part until the Soviet dictator Khrushchev arbitrarily transferred them to Ukraine in 1954. 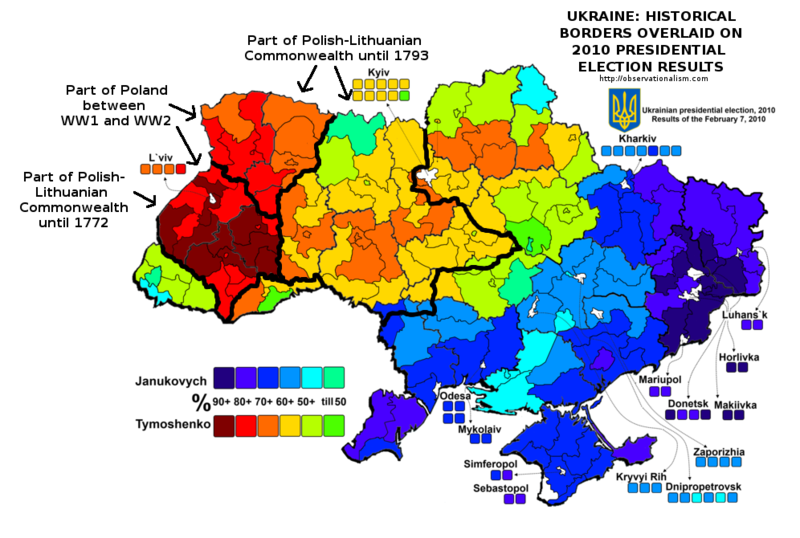 The issue of Crimea had arisen because U.S. President Barack Obama had just overthrown in a violent February 2014 State-Department-&-CIA coup in Ukraine, the democratically elected Ukrainian President Viktor Yanukovych, for whom 75% of Crimeans had voted; and, during that coup, a contingent of Crimeans who had come to the Ukrainian capital of Kiev, to hold up signs there opposing the “Maidan” demonstrations that had been organized by the U.S. Embassy in Kiev as cover for the U.S.-hired snipers carrying out the U.S. coup, became attacked, and they fled back toward Crimea, but many of them were killed en-route by the U.S.-hired mercenaries; and this “Korsun Pogrom” terrorized the entire population of Crimea, which had been strongly opposed to the coup even before this massacre of Crimeans. The coup terrorized Crimeans; the massacre of Crimeans increased their terror. The coup itself started by no later than 1 March 2013 being organized inside the U.S. Embassy, and the allegation that the coup started only after Yanukovych turned down the EU’s offer, in November 2013, has no basis in reality; instead, the U.S. planners had already arranged it months earlier, and planned for the offer to be turned down. The offer was designed so as to be unacceptable. His reference there to “the missile shield” was to the Aegis Ashore Ballistic Missile Defense System or Anti-Ballistic Missile (ABM) system, which is designed so as to be able to annihilate Russian retaliatory missiles on take-off, in the event that NATO blitz-attacks Russia, so that a NATO-initiated nuclear war would be (so it is hoped by NATO) only one-sided: only Russia would be nuked. The theory behind it is that the previous nuclear balance of “Mutually Assured Destruction” or M.A.D., will become replaced by a new reality of “nuclear primacy” — winnable nuclear war: conquest of Russia. Mike Pence and Hillary Clinton accept the theory; Donald Trump does not. Barack Obama also accepts the theory, but the Aegis Ashore system hasn’t yet been installed sufficiently to attain ‘nuclear primacy’ even if such a thing is attainable; and so the expectations of experts are that the next U.S. President will be the one to make any final decision on it. Regarding Pence’s support for the Transatlantic Trade and Investment Partnership, TTIP, and for the trans-Pacific equivalent the TPP, that’s part of the same operation, to isolate both Russia and China in international commerce, because Obama excludes both of those nations from both treaties. When Pence accepted Trump’s invitation to become his Vice Presidential running-mate, any deals that were made between them — and/or between their respective financial backers — were confidential, and thus are topics only of speculation publicly. However, Jon Huntsman, who was himself a Republican Presidential candidate in 2012, and who had been Obama’s Ambassador to China, would not be publicly endorsing either Pence or Clinton for President now if the top level at NATO — which is the U.S. White House — did not want the voters’ choice to come down to Clinton-v.-Pence, instead of to Clinton-v.-Trump. Investigative historian Eric Zuesse is the author, most recently, of They’re Not Even Close: The Democratic vs. Republican Economic Records, 1910-2010, and of CHRIST’S VENTRILOQUISTS: The Event that Created Christianity. Cover photo by AP. How about replace/get rid of Huntsman instead? Sure would be a whole lot easier. US-NATO World Police, is not wanted. US, other NATO countries man your own borders, is wanted. Huntsman is merely doing his job for the people who pay him. I’d be pleased if a governor of a US state could speak proper English. “…there is more sanctions…” sounds like he learned to speak English in a remedial language class. This guy needs to step down from campaign, and Russia needs to place his kind on the same Russian “watch list” Soros and Gates have been placed on…and add Rothschild while they are at it. NATO has the U.S. murdering people all over the middle east and north Afgica for Britannia. We beat their asses bloody to get them to go away. We need to do it again. I think it is the USA that tells NATO what to do, not the other way around. They’ve even dragged NATO into Afghanistan, and NATO was formed to “defend” Europe, not attack other countries. Trump stepping down would be IMPOSSIBLE. Millions have already voted. What happens to their votes? There is no legal way he could step down either. It would be completely unconstitutional. Nonetheless it’s what America’s aristocrats, including the billionaire chemical magnate Huntsman, would like. IF they were to do such a thing, the charade that we are a Democratic Republic would come crashing down, and Americans would riot coast to coast realizing that we are a CORPORATION owned by European bankers since the late 1800’s. They MUST keep up this lie that elections mean anything, because since then, the late 1800’s, they have meant absolutely NOTHING. Here’s an animation showing the difference between the US bombing ISIS and Russia. It’s actually funny, in a not very funny situation. Well, Someone said to me that it just looks like Trump is there to ensure that Hillary becomes the next president. I just can’t say that that’s a crazy idea, especially when you take into consideration that these are the two (reportedly) least desirable candidates for the position that the US has ever had. I recently re-read an article by James Petras (“Pillage And Class Polarization: The Rise Of Criminal Capitalism” – http://bit.ly/2dEFXWm), and used some quotes from it about China in another OG discussion. The quote dealt with the Chinese ruling class’s betrayal of it’s people for approval, and the material benefits that that sometimes brings, of Western capitalist governments and corporations and other special interests. Indeed. In the other discussion, I note that that wasn’t (isn’t) enough for the rulers of the world. That hasn’t forestalled the great game moves of the neoliberal/ neoconservative US ruling class, meant to encircle Russia and China, destabilize (hopefully ‘only’) those regimes and terrify those ruling classes into rejecting their ‘not pro Western enough’ for, hopefully, ‘pro Western enough’ leaders who will in turn facilitate the penetration of those societies and their economies by the powerful special interests of the West, primarily the US. With the TTP etc, we see something that I’ve been talking about for a long time. It involves betrayal of course. But when you’ve modified yourself to be a believer in inequality and violence and deception, which those who have embraced this world’s operating principle of ‘riches for the strongest’ have done, that’s easy peasy. In this gangster corporatocracy (which embraces a capitalism that James calls ‘criminal capitalism’), you will find the wolves in sheep’s disguises getting together with those who have not self-modified themselves and who still believe (genuinely) in law and order (because they’re sane and desire peace and security for all and safety for themselves and their families) to decide on the rules of civilization, purportedly, so that societies can then function, instead of being racked with chaos and conflict. Then those wolf-like players proceed to strategically break the rules that all have previously agreed on, precisely because they see that it can help them to get ahead of and on top of others, namely the sucker sheep who actually buy the peace and security and equality and democracy talk that was bandied about when we all huddled to plot a course beneficial to all. That’s why I talk about a wild beast of corporatocracy. It’s run by those wolf-like rule- and agreement-breakers. How do you fight that kind of darkness? The Chinese and Russian ruling classes are getting the sharp end of the stick in their dealings with the treacherous US ruling class (classes, over time). But I don’t believe that they are any different in character. In fact, Not enough victims of that darkness are different in character. Losing in the game of ‘riches for the strongest’, doesn’t automatically make you righteous. Wanting a different game, namely one in which there are no losers, however, does indicate wisdom. In my opinion. THe American people must vote to prevent war. They must all boycott ‘the two candidates’ and vote Green. i’m not a Green, but in 2016 USA, I would vote Green to prevent war. How many Americans even know a third candidate exists? If it is less than 250 million, democracy in America has failed…. That’s like not voting at all on the Presidential line, which a person can do, but which they’re fooling themselves if they think that voting “third party” for anyone on the Presidential line is any different than not voting at all in the actual contest for the Presidency. A ‘protest’ vote on the Presidential line is no vote at all for (or against) either one of the real candidates. I cannot for the life of me understand how anyone could want Trump to be elected in any circumstances. That he’s racist, misogynistic, possibly homophobic is bad enough but that he’s really never espoused any real policies, just repeatedly blasted out ill-conceived proposals to appeal to peoples’ basest instincts tells me that he lives only in the moment and cannot work through the consequences of what he spouts. Also, with Trump will come TTIP and the rest, whether you like it or not. Just as in the UK, Americans are faced with holding their noses and voting for the least worst, not the best, candidate. That cannot conceivably be Trump. All of those things are irrelevant, when the issue is whether or not there is to be nuclear war. It’s embarrassing as an American to let the world see how idiotic and corrupt our so-called election process for POTUS has become. That fool general sounds like General Ripper from “Dr. Strangelove,” who deliberately set off a nuclear world war with Russia to protect his precious bodily fluids. We usually hold our collective noses and vote for the least smelly, but this time around, we’ll probably vote for the one that doesn’t make us hurl. From the outside looking in, the USA election is, and is being presented as if it were a “live, reality TV show”. It is beyond parody(although I’m sure the Poms would do a good job on it). It would be really funny, if it wasn’t so serious. And as for the psychopaths calling for war with Russia, I hope you bastards are the first to disappear under Washington(and New York’s) mushroom cloud. Brian, spot on and even though I’m a US citizen I do not fault anyone that thinks as you. Several months back about 1:00 AM I was online (FB ) with friends and answering posts when all of a sudden the lights in the house went out. My very first thought as I sat there in total darkness… “Well it happened.” I actually thought for a moment that the East Coast got nuked. It was a calm night out so weather wasn’t a cause. I lit some candles and went to bed. We live hours to the west of DC and NYC….prevailing winds blow West to East, and although it would be a terrible thing , nuclear war, I figure if we got our asses kicked that just then maybe….there might be change for the better. Good luck. The American people are going to need it. As I said above, don’t waste your vote on Trump OR Clinton. Vote for Stein or Johnson. Tell the two major parties “your not going to take it anymore”…….What could possibly go wrong? Pence is a climate change denying authoritarian, anti gay, anti woman’s rights christian who believes the bible offers a better explanation than the theory of evolution for life on earth. Other than being far more articulate, I fail to see how he is in any way an improvement. Its just more of the same glorying in ignorance. I can agree with your thinking…. but then there are assassins and then Pence would be President. In the U.S., yes. Maybe Trump is too stupid to understand the danger to himself that he undertook, but there it is. Well you really have absolutely no way of knowing that. he has a tremendous amount of security now with secret service added to his own huge security staff. I think he is quite aware of the danger. One doesn’t get to where he is by being stupid. All these yank idiots are degenerate self serving authoritarian freaks and should be all flushed down the nearest sewer. But don’t blame the American public for that: America has become an aristocracy, no longer a democracy. It’s the American aristocracy that are this way, as you describe “all these yank idiots” — and that want Pence to replace Trump. Nice homily. Are you prepared to walk in anti-war demonstrations? Will you ride on a bus with 40 -odd other people to go to DC to demonstrate against war? Perhaps in 38 degree weather in February. If not….then you’re not what you preach. be prepared to mobilize ! Thanks. Now smear yourself. I’m not going away. The internet has provided a (potentially) equally, if not more effective method of mobilisation than the long and worthy tradition of mass protest. We can argue that social media for example has provided a better deterrent to full scale war in Syria than any of the anti-war marches did for the war in Iraq. That’s not to say that marches and protests are not vitally important of course. They are and alway will be. But we shouldn’t understate the very great power of online protest and opposition. How about being prepared to vote? US elections always have less than a majority of people voting in elections. at least other first world nations show more interest in voting in their elections.